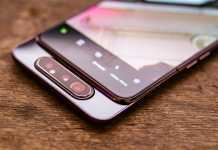 The Redmi Note 7 Pro may be Will not reach Israel, as stated, But it is consoling that at least one of the improved features of this model is now available in the local market - at a competitive price. 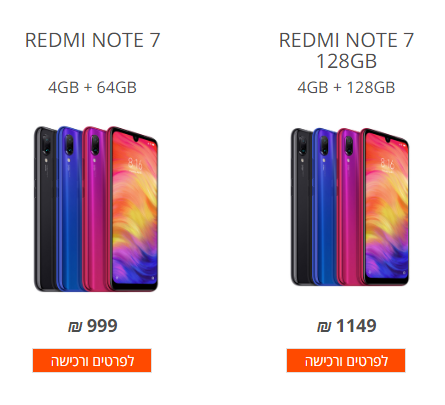 Hamilton announced that it is now the official recommended price of the standard Redmi Note 7 model, with 64GB for storage and 4GB of RAMWill be NIS 1,000, instead of NIS 1,150 at the source - a price that will enable significant competition with the various parallel importers, which enable the purchase of the popular model at a starting price of only NIS 835, which will probably still be reduced by several tens of shekels in the uncompromising struggles in the market. 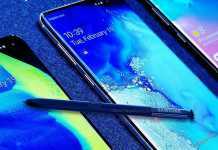 Along with the source model, we received an upgrade to an improved model of the Redmi Note 7, with 128GB of storage and 4GB of RAM at a recommended price of NIS 1,150,Galaxy A50 is newly marketed with volumes Memories Identical to the recommended cost of 1,350 shekels. This version of the device is not widely available in Israel through parallel imports at this stage, but it can be cautiously estimated that this too will change soon - and then we can find the model at prices close to or even lower than 1,000 shekels. There is no doubt that we will be happy to see storage volumes of 128GB and above, as well as volumes Memories Dynamic 6GB, become the new default in 2019, even in intermediate products - and if you base on the launches of the last month it seems that we are definitely in the right direction.